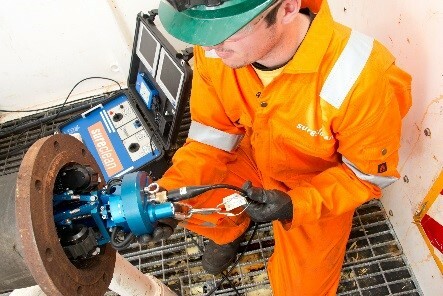 NRC were contracted to provide manpower and suitable equipment to carry out a camera inspection of the 1st Stage HP Compressor Pipe (12″ inside diameter), 2nd Stage HP Compressor Pipe (8″ inside diameter) and LP Compressor Pipes (8″ inside diameter) to ensure no debris were present within the Pipes before re-commissioning works take place. Complex layout of the pipes required to be inspected; each pipe had a series of 90-degree bends and a number of 45-degree “S” bends with only two access points for each pipe. NRC were also required to supply a camera system that could produce high quality footage plus supply a suitable camera system that is capable of travelling along horizontal and vertical pipe sections. One of the camera systems supplied was the Versatrax Vertical Crawler System, the only camera of its type in the UK. This allowed us to inspect pipework whilst making the transition from horizontal to vertical section with ease within the 12″ pipe. 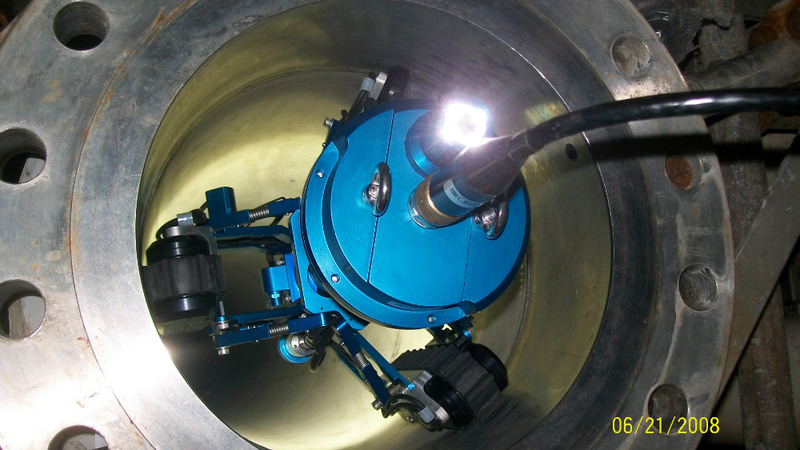 For the 8″ pipes, the Versatrax 100 System was utilised due to its smaller size and longer length of tether. Again, this camera system provided high quality footage in order to locate potential debris within the pipes.